by Chris Woodford. Last updated: March 11, 2008. The director Elia Kazan once described how he came across Hollywood's fattest film-maker in Beverley Hills: "Orson had become so heavy, he couldn't squeeze through the passenger door into the back of his limo, but had to be wedged through the front door and sat down next to the driver. He was holding a brown deli bag, and once they were on the freeway, he opened it, pulled out a roasted chicken and began to tear the meat off with his teeth. 'Is he trying to kill himself? ', the driver asked." It was a question many people would ask in the years to come. Hardly surprising when you consider how much Orson tucked away. 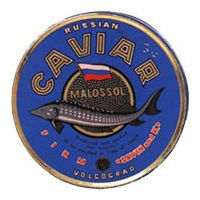 He ate four or five large portions of caviar every day, with 20 cups of coffee, and many full tumblers of 100% proof vodka. And that was just snacks between meals. A typical lunch would start with a bottle of champagne, for himself, followed by Boudin Noir aux Pommes (blood sausages with apples), then a bottle of beaujoulais nouveau to ease down a Terrine de Canard and a huge port sherbet, and finally Mousse a l'Armagnac, followed by four or five glasses of calvados and several cups of black coffee. But Orson took it all as a huge joke. He had always been big. Even as a thirteen year old, he weighed 180 pounds. He called himself "a rather fat Ghandi". And he was delighted when he had to go on a diet to play Falstaff - a role that typically required actors to put on huge amounts of weight. His friends seemed to play up to the joke. Kazan said: "I thought of what he was wearing as a great tent inside which he was hiding." And another friend remembered seeing him "swaddled in a massive white silk dressing gown that made him look like a polar bear". But the joke didn't last forever. In December 1981, when thirty film directors gathered at the Beverley Hilton to pay tribute to Orson Welles, it almost became his obituary. Two months later, he started feeling ill all the time. He went to the doctor,. His heart was weak, his liver was in trouble, and his blood pressure was dangerously high. The doctor gave him a simple choice: diet or die. This time, Orson had no choice. Weighing in at a mighty 283 pounds, his goal was to shed 125 of them, and he started off losing ten pounds a week. Before long, he was joking: "I can no longer do a remake of 'The Girth of the Nation'". Yet he never lost interest in food. He contented himself by forcing his friends to order exotic dishes so he could still be near the luscious confections. Having persuaded them to order white chocolate mousses and raspberry sherbets, he would demand a commentary: "Tell me what you are experiencing at this very moment!" Even so, he started to become suspicious of food. One day, he received a parcel with no return address. It rattled when he shook it, so he called the Los Angeles Police Department. Even when the parcel turned out to be six sirloin steaks from a well-wisher, wrapped in rattling cubes of ice, Orson refused to accept it: "It might be poisoned." he said. Orson continued to live cautiously, in poor health, until October 9th, 1985, when he suffered a massive heart attack. And, sadly, died as a result. One way to check if you're eating properly is to compare your height and weight with the national average. If you're a man 5' 4" high, you should ideally weigh 130 pounds; if you're 5' 8" you should weigh 145 pounds; and if you're 6'4" you should weigh 180 pounds. If you're a woman 5'0" high, you should be about 106 pounds; if you're 5'6" you should be 127 pounds; and if you're 6'0", you should be around 150 pounds. If you're much more or much less than the ideal figure, it might be an idea to consult your doctor. He can advise you on the safest way to diet, exercise, or if necessary, put on more weight.